This entry was posted on Tuesday, January 23rd, 2018 at 5:36 pm	and is filed under Uncategorized. You can follow any responses to this entry through the RSS 2.0 feed. You can leave a response, or trackback from your own site. I have only tried the Serene Slumber. I would be willing to try any of them. I do use the Serene Slumber almost daily! Peppermint would be the best for me since I have cystic fibrosis and coeliac disease. Both these disease have digestive problems. Turmeric Slim Chai Lifestyle Awareness Tea looks the best to me! The Serene Slumber looks good. I would like to try that one. New Years Resolution – Detox the Sugar and just feel better! Blood Sugar Balance is exactly what I need to get me past this hangry hump! Slim Balance sounds like happy mornings, perfect for the worst winter in 50 years! Refresh Now looks the best. I think stress balanace looks good and serene slumber! Thanks for a chance to win! The immunity now and organic green look the best to me. I’d love to win a box of Turmeric Detox Balance and Ginger Cleanse. OOK,,,, this time I might try the Dandelion again! Thank you! The Immunity Now would be great since we are in the midst of a nasty flu season. The Serene Slumber looks really good, too! 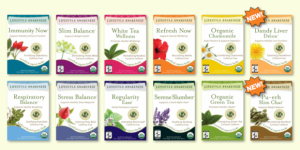 The Stress Balance Tea looks good to me. 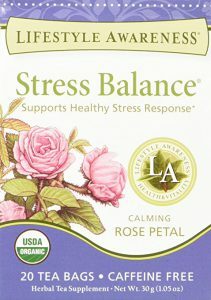 Stress Balance Tea looks good to me & would like to try it. Dandy Liver Detox looks good to me & would like to try it.